Deep in the heart of Russia, Vladislav Shkurko has been hard at work, not only reassembling a rather unique Toyota Mark II, but also adding some incredible touches of his own. In blending classic Japanese styling with a hint of Russian flair, there's little not to love about the future-classic. The true to heart Japanese aesthetic bestowed upon the car is enough to merit a feature of its own, and the work put into the car makes it doubly so. However, Vladislav's feature goes a step futher; it's what's under his car that counts most. When Vladislav's desire to build a project car began, he had a few criteria his future car must meet: it must have independent rear suspension, it must be rear wheel drive, and it must be unusual for the streets of Russia, and in good condition no less. While the Toyota GX71 Mark II he eventually purchased met the criteria, the "good condition" clause is a far cry from what most Americans might accept. While the car was admittedly rust free - difficult to achieve in the country home to the famed Siberian winters - Vlad shared photos of the car just after purchase, which was by most measures, worse off than a rolling shell. The engine was included, but not installed, and the interior was missing all together. Icing the cake, the shell didn't even have doors, making for one hell of a project to undertake. Reassembling the car proved challenging, with few Mark IIs available for parts in Southern Russia. Having bought the car incomplete, another challenge was not necessarily knowing what parts were needed, and how it was supposed to go together. The engine provided with the car was promised as good, but it too needed replacing, leading Vladislav to source a JDM 3SGE and a J160 manual transmission, along with nearly every other part on the car, inside and out. However, over the course of time, Vlad managed to assemble quite the car. 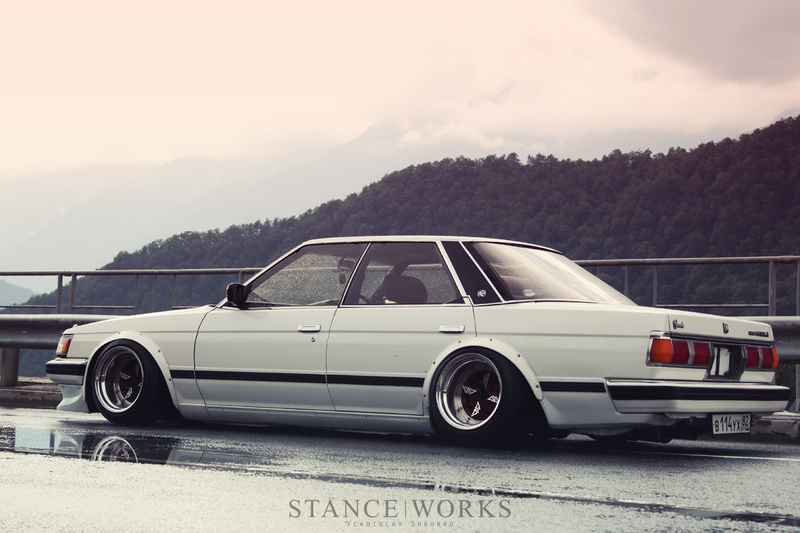 From a personal standpoint, Vladislav's Mark II encapsulates everything I love about Japanese cars and tuning. There's no hiding that I love sedans over coupes, and that the boxier a car is, the better. If it's got round, flowing lines, chances are I'll pass 11 times out of 10. Nevertheless, continuing with Vlad's creation, the white paint over red wheels is quintessentially Japanese in flavor, and the fender flares seem almost OEM+, adding a sporty edge to the car's styling without making obnoxious moves towards ostentatiousness. Underneath the car is a custom air suspension setup. With no off-the-shelf kits available for purchase, Vlad resorted to building a kit of his own. Custom shortened front shocks help to drop the car and achieve the desired height at max lift. 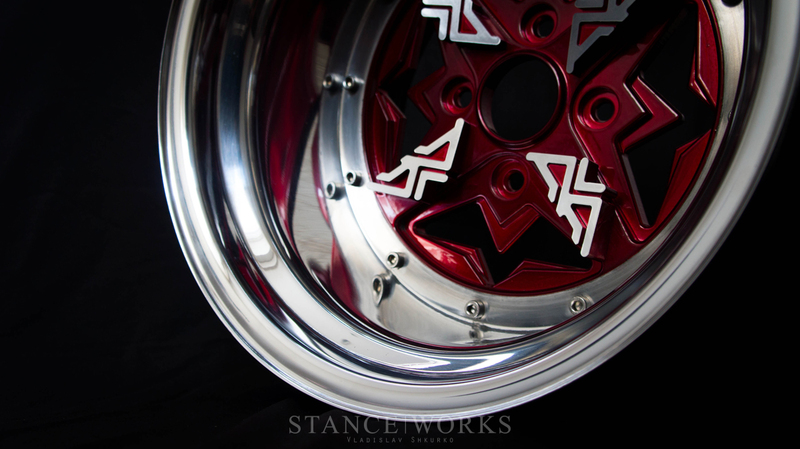 Custom camber plates help keep the wheels under the arches, and of course, the rear of the car saw a similar treatment. Air management comes from AceofAce, fitting, with Russian roots. While Vladislav's restoration and custom suspension are both worthy of a nod, it's what's under the car that really gets us excited. In continuing with the idea of "custom," Vlad couldn't settle for just "any old wheels." Instead, he turned to the computer, and decided to make his own. 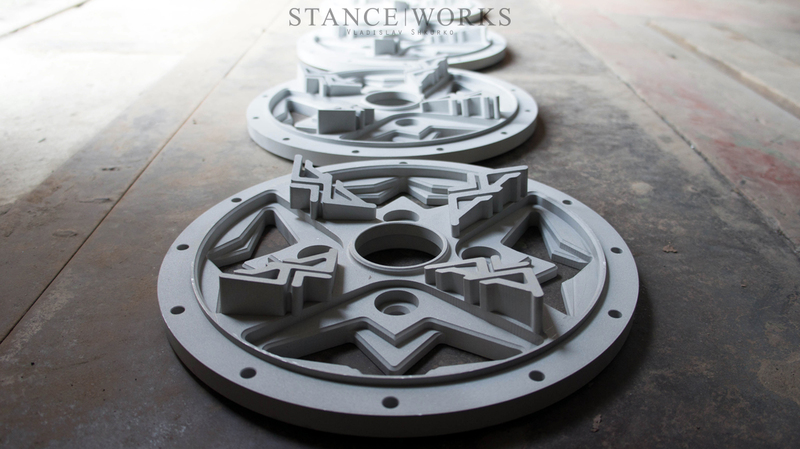 As a project that began several years ago, Vladislav went through numerous stages before the wheels came to life. The process, of course, began with design. 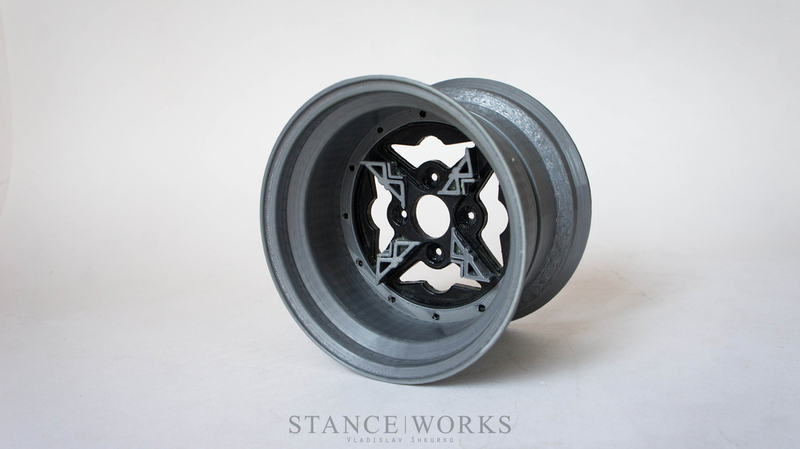 After finalizing something that he felt embraced the old-school Japanese 4-spoke vibe, he moved on to rapid prototyping, which yielded a miniature set of wheels, better suited for an RC car. 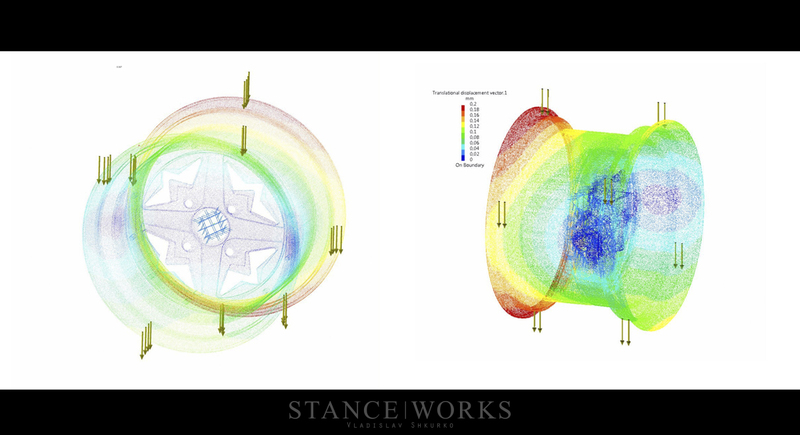 Having the physical 3D models allowed him to refine the design to his liking, before sourcing wheel halves and moving on to production. 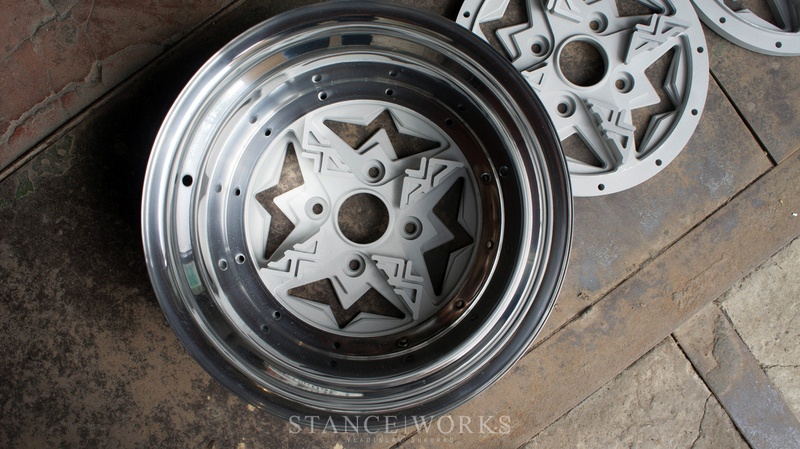 The next stage was a CNC-cut wood center for the wheels, to test fitment and finalize the design. Following that, Vladislav moved on to creating the final piece, complete with his AceofAce logo raised from the spokes of the wheel. 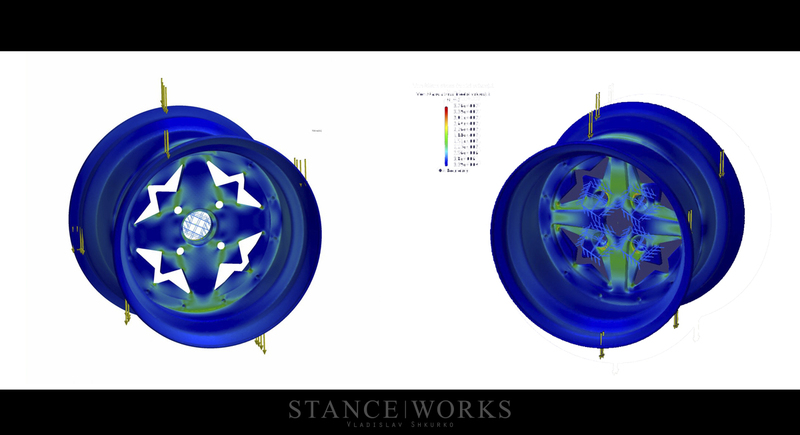 Seeing the design in CAD, I questioned how it'd look on the car itself, but Vlad proved the strength of his design. 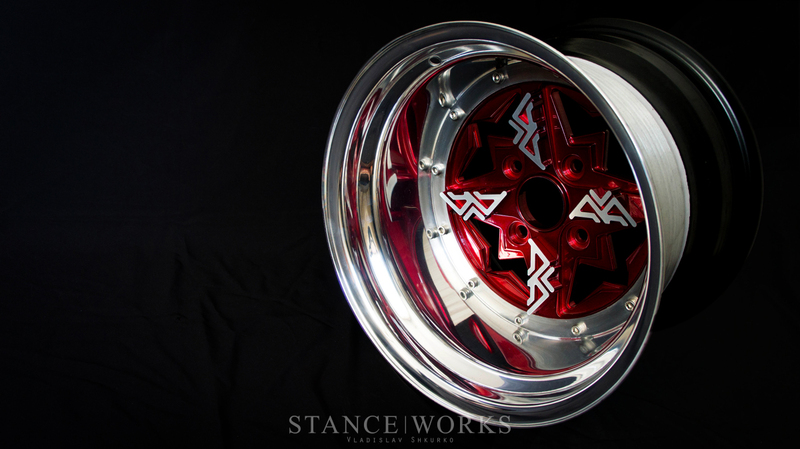 Mounted to the car, the wheels look wonderfully authentic to his intended style. 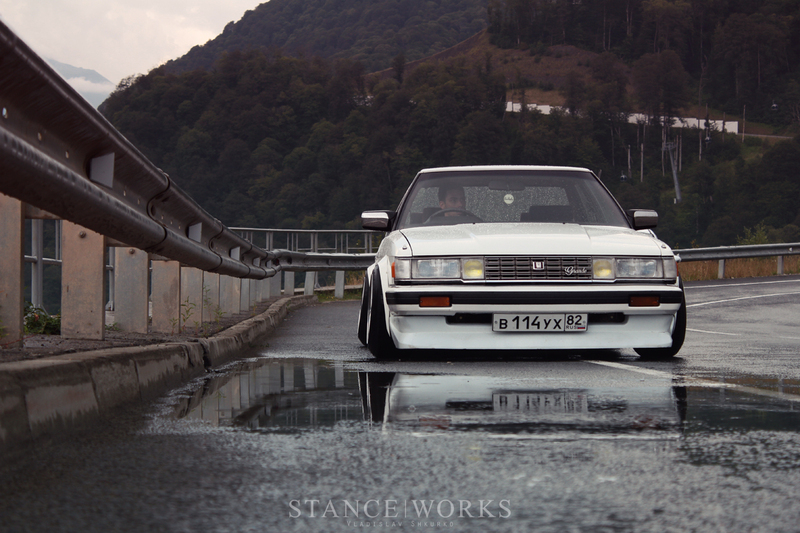 Is that the first time Russian car makes it to get features on Stanceworks? Beautiful car Vlad. Deserves ever bit of praise over the final product and the work you had to do to get it there! Not first) I remember 2109 RiderUfa’s and 2101 Junkie. But maybe had someone else.